I found Nutrition Now located next door to where I got my haircut. I hadn't heard of it before, and didn't know they had a menu. The salon had coupons for free smoothies, so I thought I'd check it out. 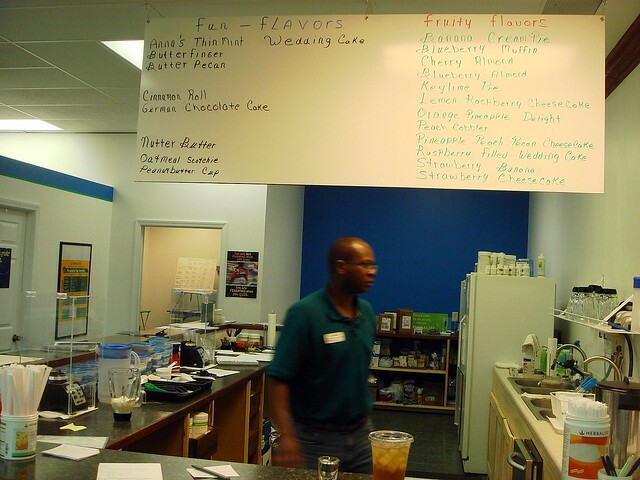 Nutrition Now has many different varieties of smoothies, ranging from "fun flavors" like thin mint, butterfinger, and more unique fruity combinations. These aren't just regular smoothies, though. Each smoothie contains 24 grams of protein and a blend of vitamins and minerals, so they don't just taste good, but they're also good for you. I chose the cherry almond for today's flavor. I watched as Desie, the smoothie server for the day, prepared my smoothie using frozen cherries, protein powder, milk, and more. 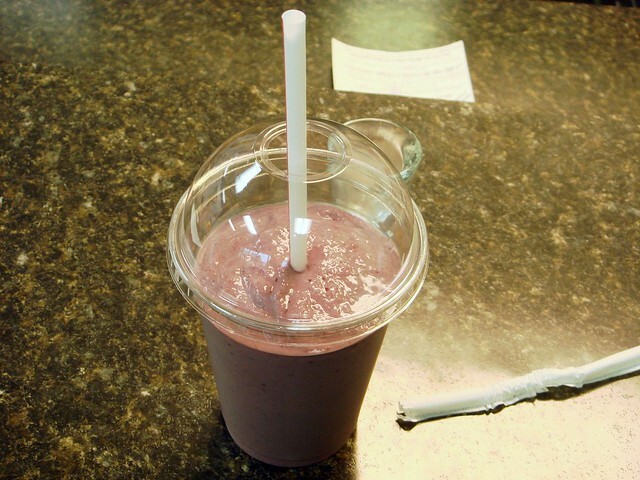 They don't skimp, and the smoothie has the same texture as a milkshake. It's filling, but not heavy. It's been a few hours since I drank it and I'm still not very hungry. 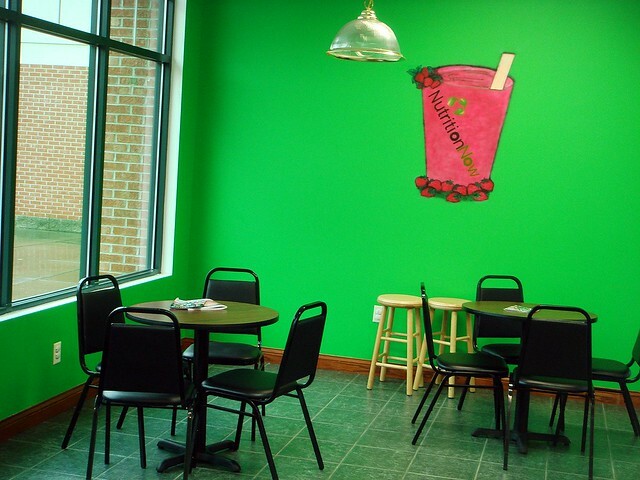 Desie said they use their smoothies to help their customers lose weight and maintain weight loss, and having tried one, I can see how it would help. 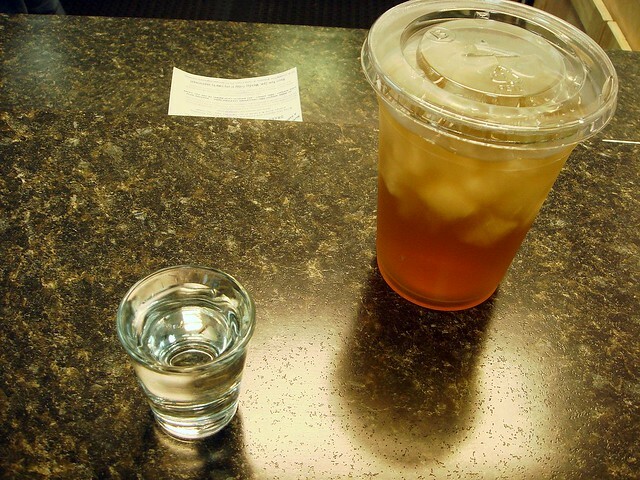 The tea, which I believe was a concentrated powder, offers a steady stream of energy without the spike and crash of many sugar-filled caffeinated beverages. It had a really nice flavor. It was very refreshing on a muggy day. I enjoyed spending a few minutes talking to Desie as he prepared my drinks. 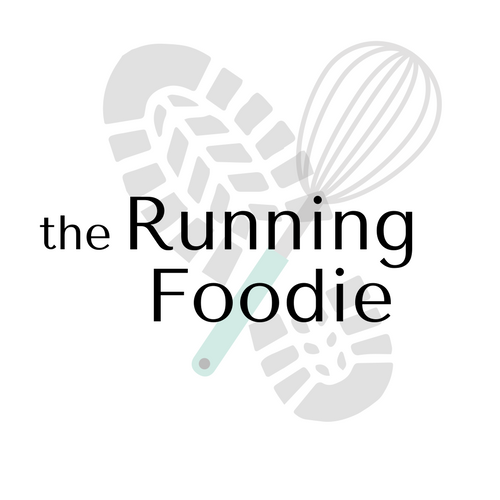 We talked a little about running, nutrition, and the benefits of the products I was trying. He also told me about his weight loss, which is always a cool thing to hear about. I've never personally struggled with weight loss, but I know how hard many people work to become healthy, and it's nice to hear a success story! 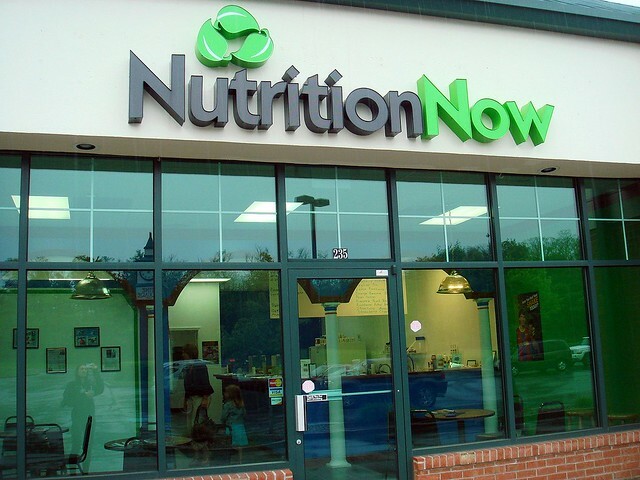 Nutrition Now also offers metabolic testing and weight loss/maintenance plans. I wasn't there to try those out, but you can inquire about them if they interests you. 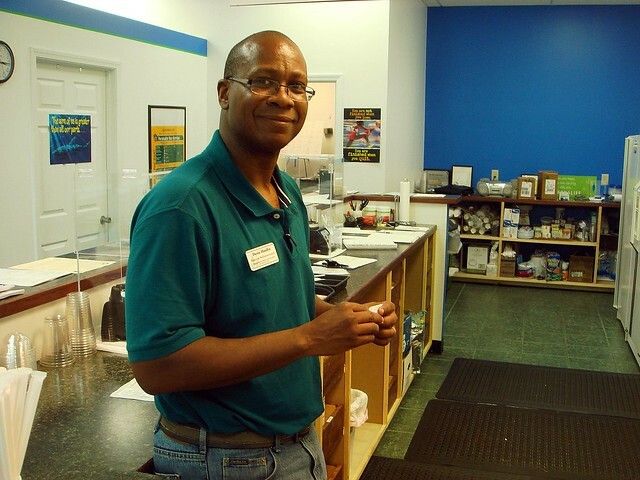 I enjoyed my visit, and it's worth the stop to try a smoothie out at Nutrition Now. Yeah, Jogger. I noticed it, but had no way to edit myself out. Think of it as my signature. Raspberry filled wedding cake protein shake? HOLY HEAVEN.